We think their is enough growth in the existing cities. We will open more outlets in the cities we are already present in. South India is an important market for us with explosive growth coming from this region. 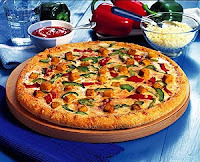 Our Strategy for Pizza Hut is to make it a “Treat You can’t beat”. to achieve that, our aim is to position ourselves as a brand that not only provides tasty food but also exceptional entertaining experience. I have personally experienced the entertaining part. The stewardess at the outlet got to know about my friend’s birthday and within 45 seconds they changed the song and few of them lined behind to wish him a Happy Birthday!!! We ended up spending like 1,800 bucks amongst 5 friends that day.